A deep and loving relation to artists from Latin and South America has been constant in the evolution of the JAW label family. There have been countless releases by amazing artists from Brasil and other countries on Jannowitz Records and this tradition is going to be continued by Jaw Dropping Records as well. There is just so much talent on the other side of the world that needs to be discovered and made big in Europe and we want to be a part of this. That is why this release consists of Latin and South American artists only. We are more than happy to welcome Solc to the family. He is from Brasil and one of our most recent discoveries. His productions are rich and colourful, highlighting melodies that flow over beats on the edge between house and techno. For his From Another World EP he produced two Original tracks - one, Cosmic Glue, being a little bit more groovy, with driving hihats, a bumpy beat and cow bells - the other, From Another World, living off a dreamy synth chord sequence that fits perfectly into Berlin clubs like Panorama Bar or Kater Blau. For both tracks Solc took vocal samples to provide his productions with a little extra. But listen for yourselves.Dreamy, groovy - two attributes that fit perfectly to Jaw Dropping Records and what we stand for. But nevertheless, sometimes we like it a little bit harder. 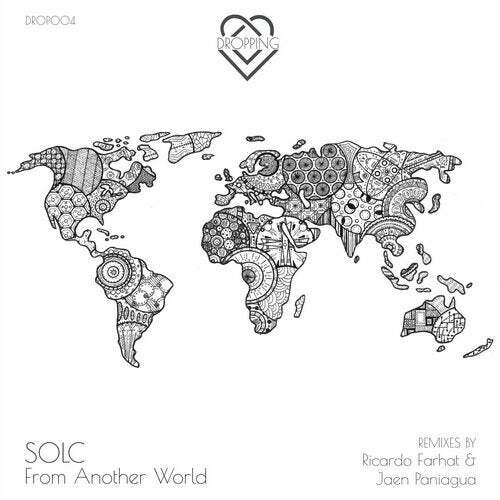 So we asked our Mexican techno buddy Jann Paniagua to work on the melodic masterpiece From Another World and turn it into his very own straight forward version. Jaen's remix is a progressive techno track with a pumping kick and a nicely built up break that still highlights the original chord sequence perfectly. Last but not least, Ricardo Farhat ! You will remember him from his remix he did together with Jaw Dropping label boss Rachel Raw for Nico Pusch.This time he's back on track with his own style and a groovy tech house remix. Stay in touch with us!